Doctor Music Festival announced its 2019 lineup which includes The Chemical Brothers, The Smashing Pumpkins, and Greta Van Fleet. The four day festival taking place July 11 through 14 in Escalarre, Spain will also feature other major artists such as Parquet Courts, The Prodigy, Opeth, James Bay, and the Strokes. The Doctor Music Festival offers a unique experience that goes beyond the shows. Located in the beautiful valley of the Pyrenees in northern Spain, the festival is designed for guests to enrich their mind, satisfy their body and uplift their soul. The festival debuted in 1996 and ran until 1998 before taking a break and returning in 2000. The 2019 edition will be the first return after a 20 year absence. In honor of the 1997 festival, the first time it lasted four days, this year’s 2019 Reincarnation Edition will offer festival-goers four days jam-packed of music. One of the featured acts, The Chemical Brothers, a duo comprised of Tom Rowlands and Ed Simons, will close the main stage on the last night of the festival. Their first new track in almost four years, “Free Yourself,” was released late last year and their ninth album No Geography is set for release this spring. With over twelve million album sales, six million single sales and four Grammy awards, the duo continues to demonstrate their redefinition of electronic music. The Smashing Pumpkins, the alternative rock band from Chicago formed in 1998, will perform on Thursday, the opening night. The band has a diverse sound that mixes elements of various music genres including psychedelic and progressive rock and electronics. Their latest album, Shiny and Oh So Bright, was released in late 2018. 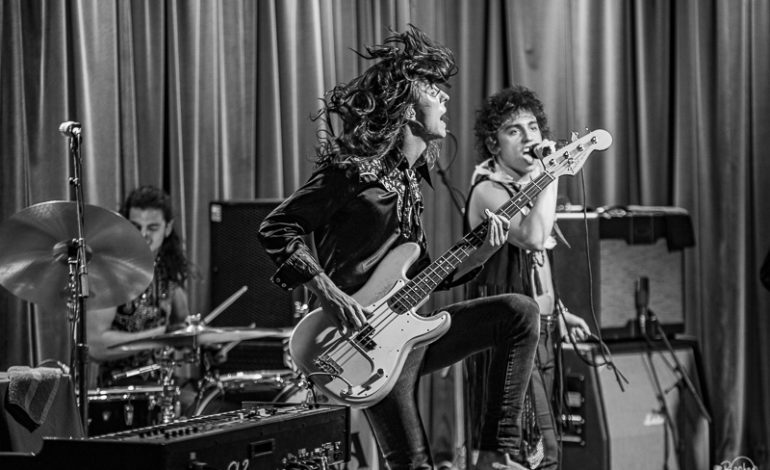 Greta Van Fleet, a band considered the disciples of the grand master of rock, will play on Friday July 12. The young group played a series of sold-out concerts across North America and Europe in 2017 with their hit single “Highway Tune.” This song took a prime position at number 1 of the most important Rock radio stations in the United States. Festival-goers can expect other great performances from acts like James Bay, Opeth, Parquet Courts, The Good, The Bad and The Queen, Underworld, Primal Scream and King Crimson. Bay is one of the most renowned British artists of the new generation, showcasing his highly anticipated second album Electric Light in 2017. Parquet Courts has released five albums since 2011, their latest being Wide Awake! in 2019. This album celebrates independent and individually and was produced by Brian Burton. The Swedish band Opeth has released 12 albums, their latest being Sorceress. Another exciting performance will come from The Bizarre World of Frank Zappa with the first tour to use holograms of its kind. The show will include a debut of new music and unreleased versions of fan favorite songs. Additionally, The Prodigy will be making an appearance with their recent album No Tourist released in 2018. Tickets can be purchased for the Doctor Music Festival here.